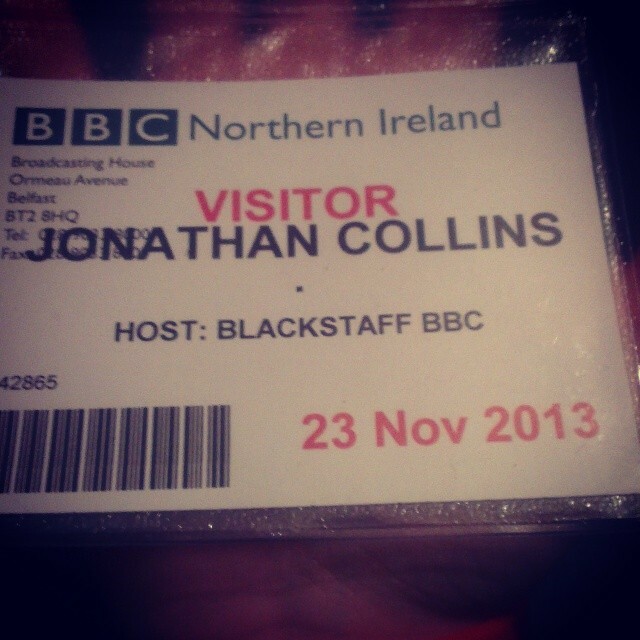 To start things off we had a change of location from the BBC Broadcasting House to their Blackstaff Studios which is near by, but we still managed to get lost! Eventually I found and met Gareth and then Shauna took us in and we got our passes for the day. We went through the building and went to a big fancy boardroom and you know by the look of it the BBC has too much money to spend! I counted 10 computer/TV screens in the one room. Later on, at around 11, Terry Loane, who is the Director of the Northern Irish film called MickyBo And Me, more or less told us the whole story about film making and how the idea for this film came about which was developed from a stage play. Terry comes across as a really cool guy and I learned a lot from his workshop even tho i’m not that interested in the directing side of films! After his workshop, we went for a bit of lunch! We could not decide where to go in Belfast! it was either between a noodle bar or Burger King, we ended up in Burger King! When we got back from lunch, Mr Lennox taught us about beat sheets which is basically what happens in each scene of the film which I can use in the course I’m doing in college. He also taught us about some screen writing in the software, called Celtx, which I already knew how to use! Then Mr Lennox taught us to make a film plot by following Blake Snyder‘s book called Save The Cat which I now have! Once we planned out our beat sheets we had to get feed- back from the rest of the group and got really good and useful feed- back! Then that brilliant day in the BBC came to an end! So Shauna closed that session by buying us some amazing pizzas!! Then even better she got us taxis over to The Odyssey to watch the film Stand By Me! which was sooo funny and would recommend anyone to watch it if they want a laugh! Overall, it was a brilliant day and I learned a lot and can’t wait till the black tie event on Thursday! and to next week’s class! I will put some post up from the black tie along with a film review on Stand By Me!